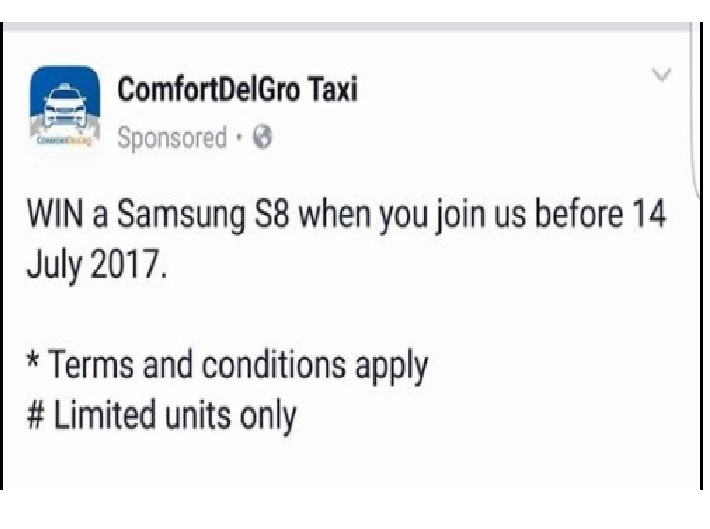 JOIN COMFORTDelGro AND WIN A SAMSUNG S8. ?????? You are at:Home»Caught In The Act»JOIN COMFORTDelGro AND WIN A SAMSUNG S8. ?????? Oh.. did we read across, CDG have many unhired cab too. If this war between taxi n UG..at the end.. taxi driver got more disadvantage. Cause UG fleet is highest in SG. 3) taxi driver attire and personnal grooming – long hair dye hair..
3) smoke in car? No problem. Without passenger, it’s their private car. They can do whatever they wan. 4) they pay road tax, insurence, fuel, an most important, they pay car loan. So what else will UG lose out if Taxi driver want to challenge. So best, drive our own taxi. Cover 2 eyes. You scratch my back, I scratch yours. At the end of the day, each go home with fair income and fair competition. All happy. Cause report already, no monetary award too. So why bother ya. Previous ArticleIS IT RIGHT FOR CAB DRIVER TO CATCH PRIVATE HIRE DRIVER INSTEAD ON CONCENTRATING ON DRIVING?